Eaglemoss presents the Alien and Predator figurine collection! Your favorite characters from the sci-fi franchise are meticulously rendered 1:16 scale. This Killer Clan Predator from Predator comes with the volume #38 companion guide that explores the Killer Clan Predator. 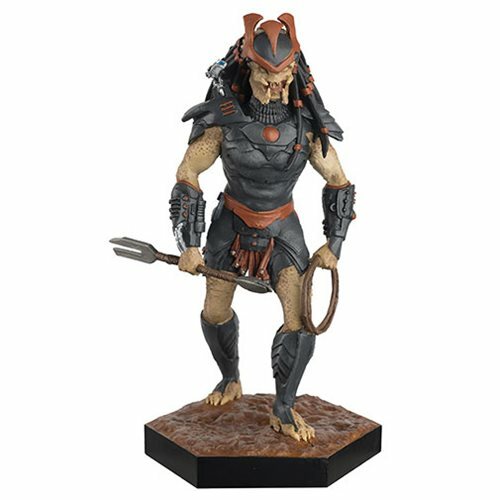 Ready for attack, the Alien and Predator Killer Clan Predator Statue from Predator is cast in metallic resin and hand painted. Ages 14 and up.